This High performance RMP354 multi layer PCB press designed to allow PCB labs to rapidly prototype multi layer PCBs according to industry standards. The number of circuit board layers is only limited by the maximum lift of the press compartment. 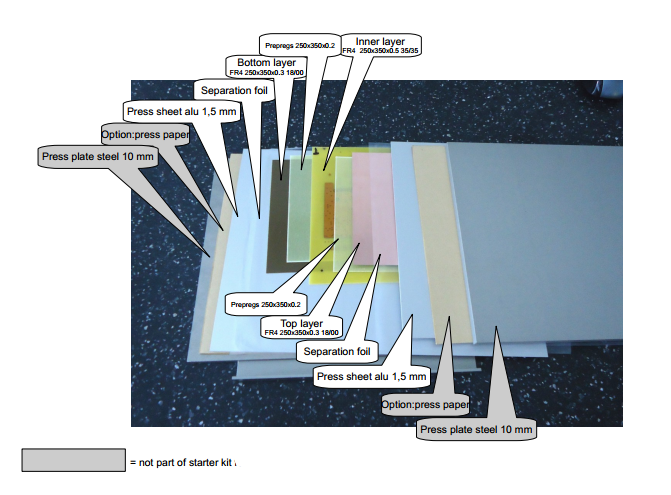 Category: Multi Layer PCB Press. Tags: MLB, Multi Layer Boards. This High performance RMP354 multi layer MLB PCB press designed to allow PCB labs to rapidly prototype multi layer MLB PCBs according to industry standards. The number of circuit board layers is only limited by the maximum lift of the Multilayer PCB press compartment. 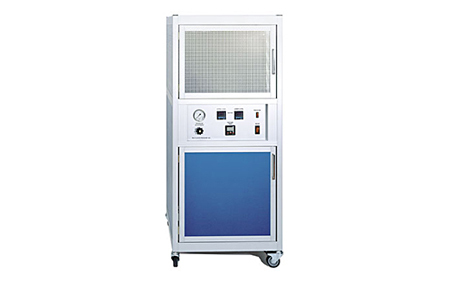 A compressor, which is integral part of RMP series of Multilayer PCB presses is stored in the back of the machine. In the front, you will find additional storage room for tools or boards (lower door). the unit is controlled by two digital and adjustable thermostats, one digital timer as well as a pressure valve with pressure meter. 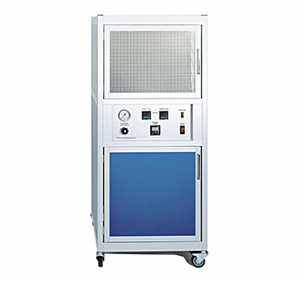 Two powerful air ventilators activated automatically during cooling cycle. The sequence will take all in total approximately. 3 hours. 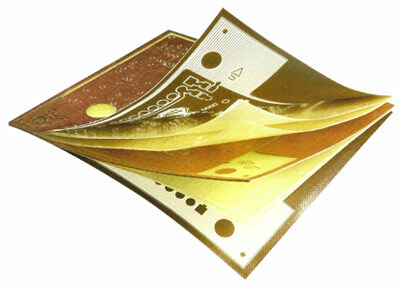 Gross size of the PCBs is 350 x 450 mm which will result in a Multilayer PCB net size of 300 x 400 mm. A full range of supporting consumables such as an Artwork Film registration punch and Chemistry for hole desmearing (Cleaning and Conditioning hole walls after drilling) and bonding of the layers are also available by request.